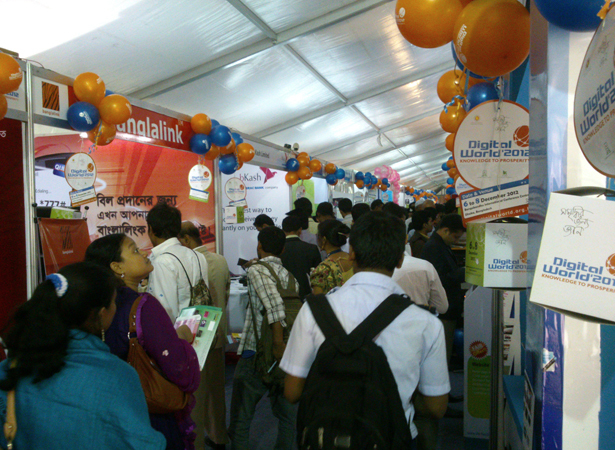 The Digital World 2012 – Knowledge to Prosperity conference in Bangabandhu International Conference Centre, Dhaka, Bangladesh 6-8 December was an amazing mash up of private sector, government and civil society united in their interest in ICT for development. 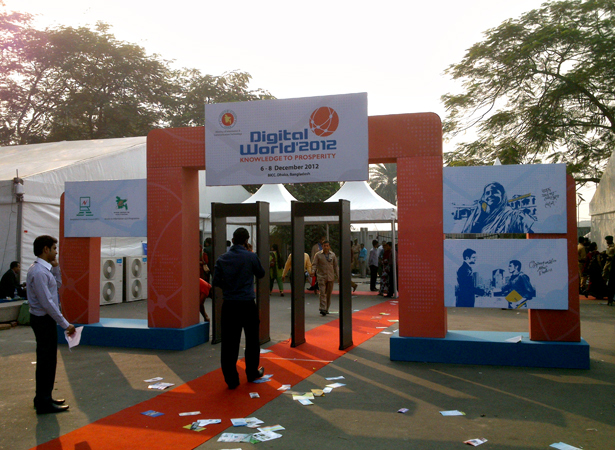 The three-day Digital World comprises thematically inter-related conferences, plenary and technical sessions with workshops, seminars, discussion and exhibition. 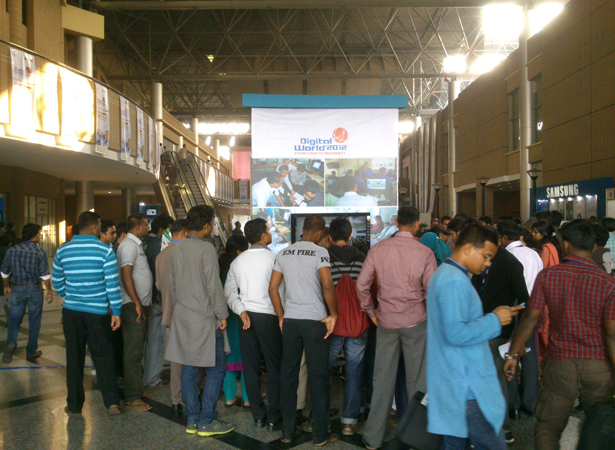 bKash participated in the exhibition with a stall where visitors were able to register for free and open bKash accounts with their Robi, Grameenphone and Banglalink connections. 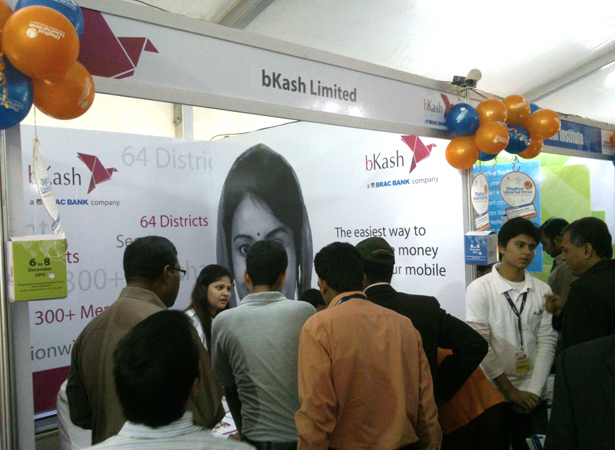 Also the visitors have been clued-up with an in-depth knowledge on mobile financial services which they may access from their mobile phones using bKash. 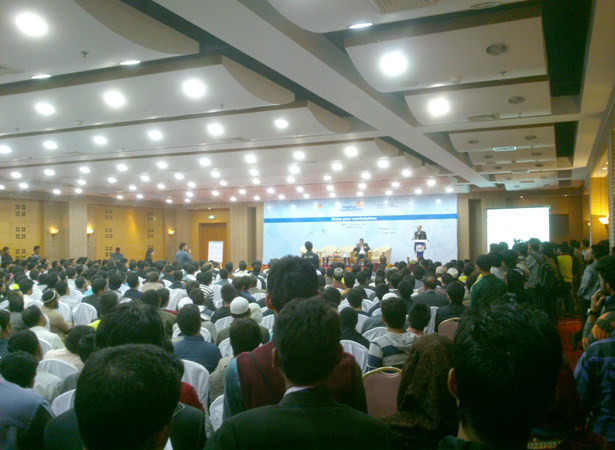 The event marked 28 sessions including seminar, workshop, roundtable, debate, etc with the participation of hundreds of international & national speakers. 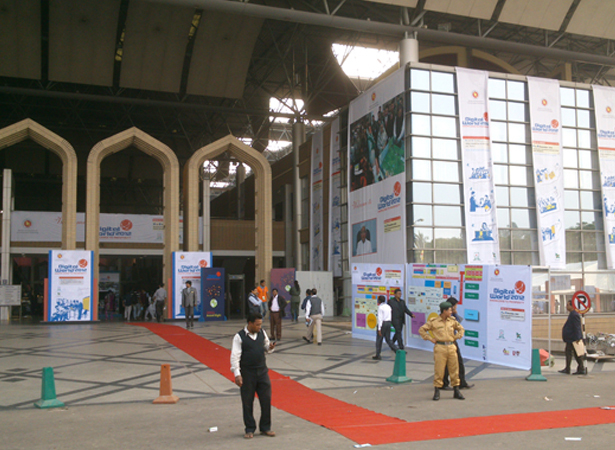 Around 140 exhibitors showcased their services while the young talents of the country displayed their innovations in the Experience lounge.